(ROCKWALL, TX – March 20, 2019) Toyota of Rockwall has officially granted One Man’s Treasure $2,500 to fund What’s Cookin’ in Dallas? A Night at the Museum’s trip to Washington D.C. that will be raffled at its annual gala at the Museum of Biblical Art in Dallas on April 11. The trip will feature a three-night stay at one of Washington’s history hotels, The Jefferson or The Hay-Adams, roundtrip airfare, and a $150 gift card for a memorable dining experience in the museum-rich city. The winner does not need to be present to participate, and those interested may purchase the tickets at www.onemanstr.org. 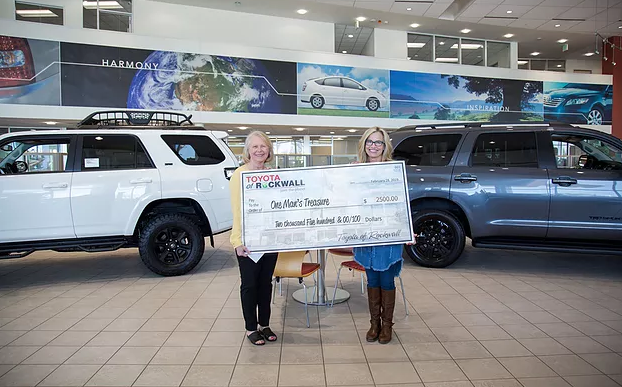 One Man’s Treasure is honored to be awarded this Toyota of Rockwall grant and for the long-term relationship it has established over the years with the company. Toyota of Rockwall has served as an invaluable partner in One Man’s Treasure’s mission to provide clothing to indigent men returning to our area communities after years of incarceration. The company serves as a permanent drop-off location for clothing donations and has provided community grants that have been vital for our ministry’s growth. Not to mention, they have helped One Man’s Treasure acquire a delivery van, an N200 Nissan, through The Hillcrest Foundation, Bank of America, N.A., Trustee grant. The van helped in the growth of our organization in 2018, enabling a closer relationship with clothing donors and increased number of monthly deliveries to the men. Toyota of Rockwall has been recognized as an exemplary business, distributing good news and gifts back to the community. The initiative comes from its own leaders, President Steve Jackson and his wife Barbara, for their continuous enthusiasm and responsibility for helping others, including One Man’s Treasure and other local charities. 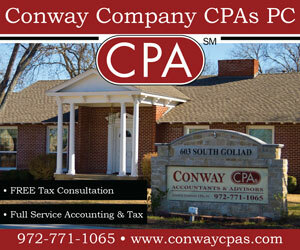 Through their passion and hard-work they have earned many awards over the years of operation. On April 11th, One Man’s Treasure will present its annual gala which provides a substantial portion of the funding necessary for the ministry’s mission to provide sets of clothing to indigent men returning to the Dallas area after their release from prison. The 2019 goal is to serve 1,900 men in need of clothing and this event will help make that a reality. The Museum of Biblical Art in Dallas will be the magnificent setting for this year’s special event. 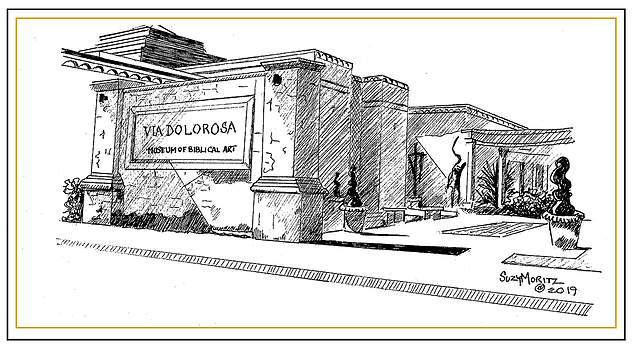 Guests will tour the art galleries in the museum and the Via Dolorosa Sculpture Garden and enjoy passed hors-d’oeuvres prior to experiencing a three-course dinner that highlights the cuisine of the Mediterranean area and Holy Land. A silent and live auction, blind bag draw, and the drawing of the winning raffle tickets for a trip for two to the museum-rich city of Washington, D.C. sponsored by Toyota of Rockwall and a treasure chest filled with unique Holy Land items, gift certificates for outstanding Dallas dining and entertainment, and other luxury items will help raise the proceeds for this vital program. One Man’s Treasure would like to sincerely thank and highlight one of its long-time corporate supporters, Toyota of Rockwall, in addition to its President Steve Jackson and wife Barbara, for sponsoring this year’s destination trip and their continued commitment to the mission over the years. 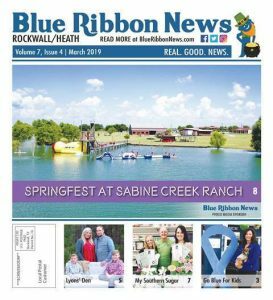 For many years, Toyota of Rockwall has supported the organization as a sponsor for the annual gala’s raffled off trips and serving as a fixed drop-off location for clothing donations. Besides being recognized as a multi-year recipient of the prestigious Toyota President’s Award, the dealership has been essential to One Man’s Treasure, by helping further involve the Rockwall community with the mission of One Man’s Treasure. If you are interested in playing a role in this special event, different levels of sponsorship ranging from $500 to $10,000 which include event tickets and other benefits are available now. Individual tickets are available online for $125 per person or by calling 972-771-4141.